The cherry blossoms are blooming, the sun is shining, and it’s the perfect time to hit the pool! Haruka, Makoto, Nagisa, and Rei are anxious to get into the water and warm up their winter muscles ASAP, but things aren’t all flip-turns and finish lines. Haru’s passion for swimming is drying up, which dashes Rin’s hope for a true rivalry. With their futures after high school looming over them, Makoto and Haru are having a hard time focusing. And a gruff new Samezuka student, Sosuke, appears just in time to jeopardize Iwatobi’s chance at nationals. From Kyoto Animation comes the internet phenomenon that’s making a splash! Free! -Eternal Summer- is full of lovable characters, beautiful animation, and of course, MUSCLES! 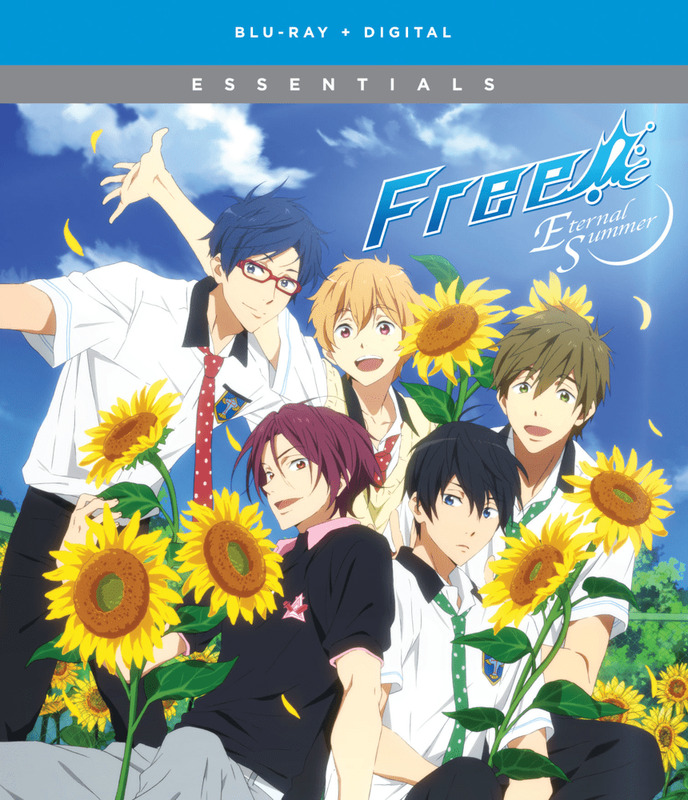 Premium edition contains: episodes 1-13 of Free! Eternal Summer and the Free! Eternal Summer OVA on Blu-ray and DVD in a chipboard collector's box with a water gloss effect, plus a full-color exclusive artbook, 7 art cards, a full-color sports towel, and Iwatobi and Samezuka school decals, all in a collector's box.